You are here: Home / Donations / Thank You Volunteer Services to HDH! Thank You Volunteer Services to HDH! 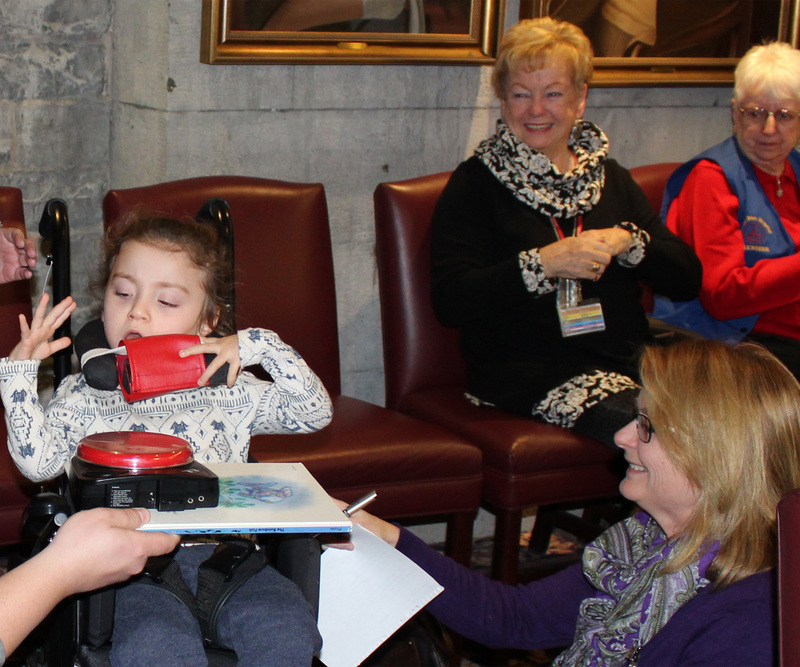 The staff, clients and families of KidsInclusive thank Hotel Dieu Hospital’s Volunteer Services for their continued support and generosity! On December 19th, Volunteer Services presented a cheque to KidsInclusive for $10,000 which will directly assist clients and families in need over the near year. We would also like to thank McKenley Martin for her awesome presentation to the Volunteer Services Board by demonstrating the use of her communication aid BIGmack, shown below. http://kidsinclusive.ca/wp-content/uploads/2016/09/KidsInclusive-EnfantsInclus.png 0 0 Marianne McLure http://kidsinclusive.ca/wp-content/uploads/2016/09/KidsInclusive-EnfantsInclus.png Marianne McLure2016-12-20 19:16:102017-05-02 17:15:11Thank You Volunteer Services to HDH! Happy Holidays from KidsInclusive! Run/Walk for KidsInclusive – Register Early!